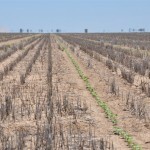 Transition between seasons, as winter crop harvest approaches and summer cotton springs from the ground. 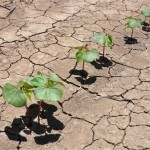 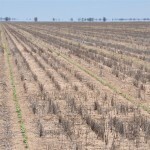 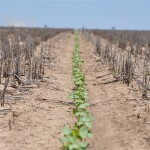 We’ve planted Bollguard 3 dryland cotton on 2.4 metre rows – a change from 3 metre cotton last season. 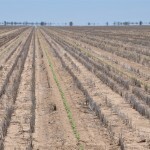 We have 5 rows instead of 4 in 12 metres aiming at better water use in our farming system. 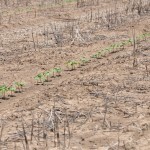 We handled a lot of problems last season and it proved a successful crop, so hoping to do it better this time without the chemical constraints and early sandblasting problems.